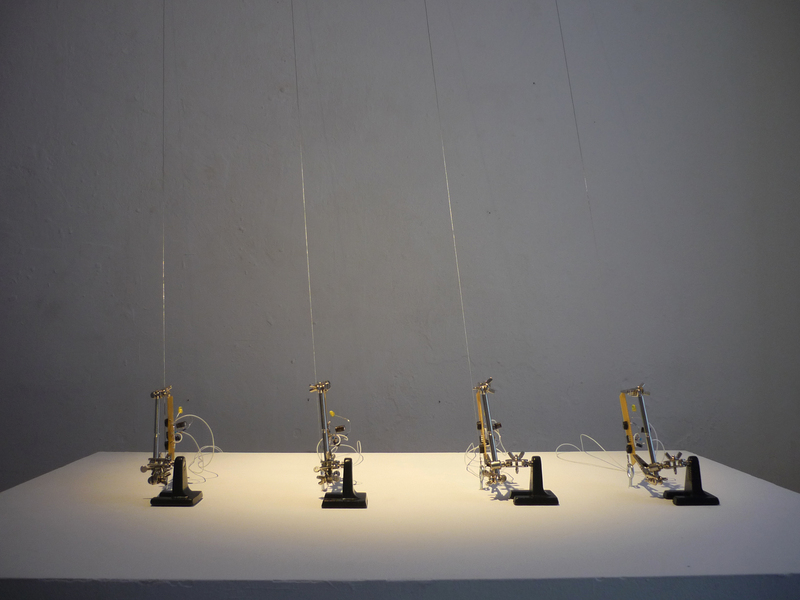 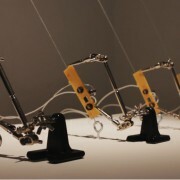 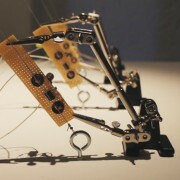 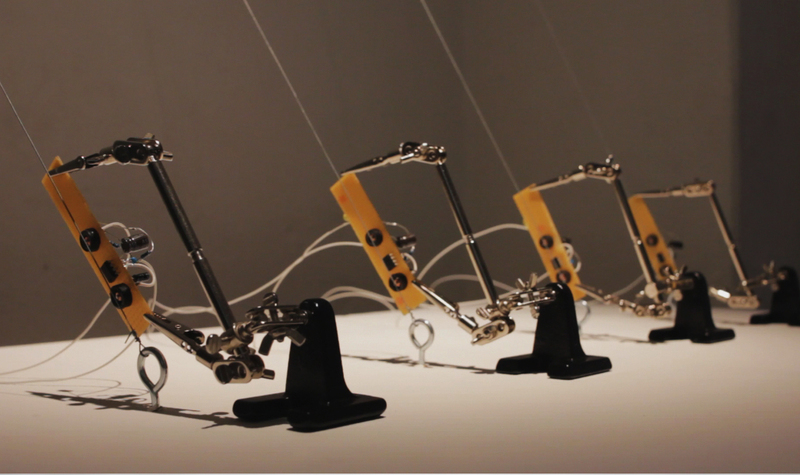 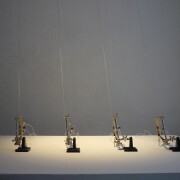 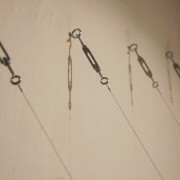 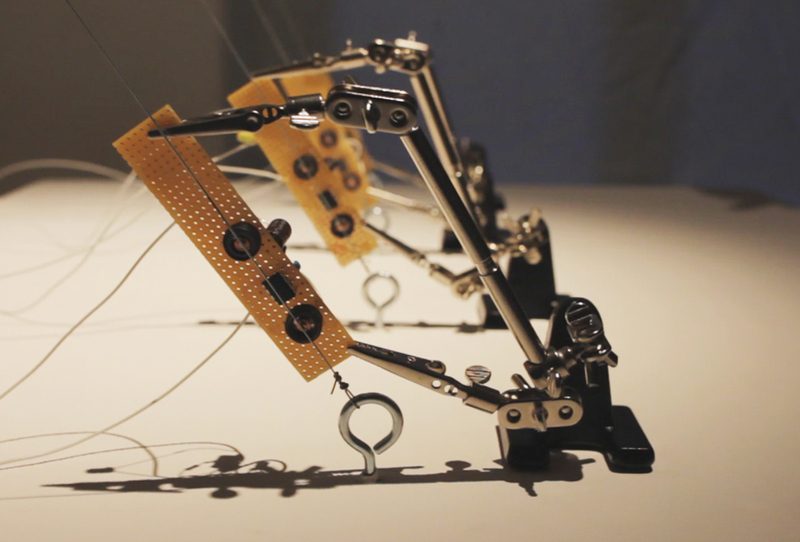 electro magnets driven by an customised electric circuit makes the strings vibrate. 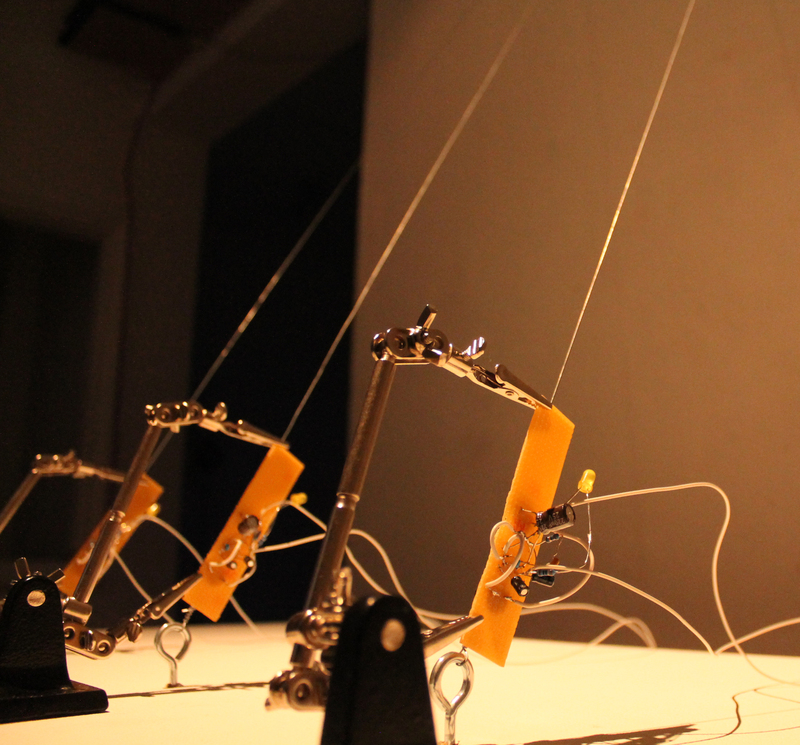 the wood box works as resonator. 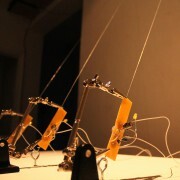 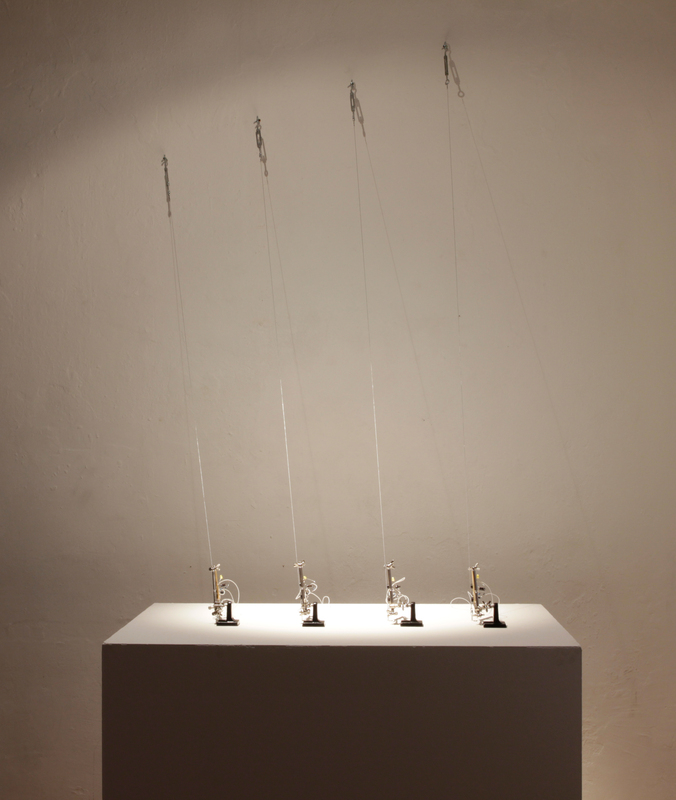 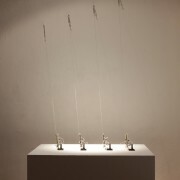 The sound of the strings creating repeating harmonys which can be adjusted by tuning the strings and changing the array of the harmonics with a step sequencer.